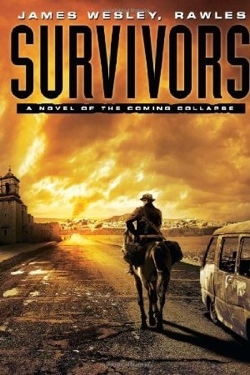 and How to Survive the End of the World as We Know It , he just released (today) a sequel to his widely successful novel Patriots called Survivors: A Novel of the Coming Collapse . Although Survivors is considered a sequel to Patriots, from a timeline perspective the plot of the story is contemporaneous with the action in the first book. However, in this book it is set in different locales, with mostly different characters, with vastly different levels of preparedness. Unlike the main character in “Patriots”, most of the characters in “Survivors” aren’t as prepared, so they are forced to improvise and hustle to survive. I think this will be most interesting as Rawles does a great job at teaching survival/preparedness skills while telling a fictional story. I am a big fan of his book Patriots and will definitely be ordering the Kindle addition of his latest book. 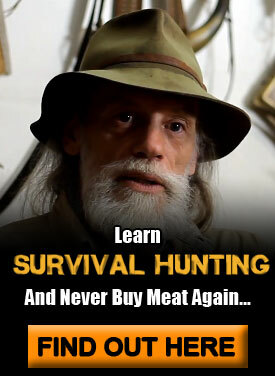 I’m a fan of survival fiction. Got started with Z for Zachariah by Robert C. O’Brien when I was a kid. Many of the people that write survival fiction have decent stories to tell, they just fail in the actual telling of them. I’ll have to check out Mr. Rawles and see how he trips my trigger… Thanks for something new to read. I am always looking. Thanks for the comments Scout. I’ve never read Z for Zachariah so i’ll definitely check that out as well. Speaking of survival fiction, have you or anyone here seen the TV series Jeremiah? Loved it. I’ve watched it again a couple times on NetFlix. Still love it. I love “The Walking Dead”, it’s one of my new favorites. Z is aimed at younger (like 6th grade) readers and has some coming of age mixed in there as well, but is still fun for adults. I read it every couple of years for kicks. Hope you like it. Great to hear! I have not yet ordered it but will be as soon as I am done with the book I’m working on. Not a fan of Patriots. The author couldn’t decide if he was writing a fictional story or a how to manual. Boring read I couldn’t even finish it. Yeah, Patriots definitely is polarizing. Either people love it or hate it. I think it really comes down to what you expect going into it. If you’re expecting a well-written novel you’re likely going to be disappointed. Coming into it, I was in the mindset that I was going to be reading a how-to disguised as a novel. Given that mindset, I thought it was a great book. Ugh! You people are killing me! If Patriots is HTSTEOTWAWKI in novel form then I’ll probably love it. But Eddie says its boring. I’m not going to ready ANYTHING more about Patriots! I’m afraid I’ll get prejudiced. Gotta go! I better get to reading! Just finished the audiobook. I read and listened to Patriots, so this was an easy choice. I enjoyed in both books the name and concept dropping throughout the story that provided other information to look up. In that respect it could be a “how-to”, and the mild blending of this novel with the first gave it some continuity that I hope will come to a conclusion in a next effort. Andy’s adventure was the hi-lite of the story. My only issue was with what I consider an overstated religious theme that is notable in both novels. I almost feel that if you arent a church going, God fearing individual/family then these survival stories/concepts don’t pertain to you. A little too preachy for me. IMO for what little its worth. Beyond that I would highly recommend both novels in paper or audio and the website as well. My husband and I were so excited to read Survivors — and to support Rawles’ climb up the book list — that we bought 2 copies on the day it came out. We then bought a third book (at the reduced eBay price) to send to a friend. Survivors is a page turner, but not as thick with information as Patriots (which I am now reading for the third time). I didn’t get as involved with the characters because of the format of the book — jumping from 1 individual to the next — it just seemed like there were too many characters for me to keep track of all their stories. And IMHO the book doesn’t go as deeply into each character, so you can’t “bond” as well with them. But then … I did like the book. I just don’t LOVE it the way I LOVE Patriots. I consider Patriots to be my kind of Bible for survival. I read Rawles’ first book before Patriots came out. It is more of a survival manual — and a lot of that info is in Patriots, but actually put into a scenario. I have to say, I think Patriots is GENIUS. So, I was expecting a lot from Survivors. Probably set myself up for a fall … but I love reading Survivalblog with my morning cup of coffee each day. Great info from smart folks and makes me not feel like a crazy loon for prepping when almost none of my friends even know what the word means. You’re definitely NOT crazy Sandy (you’re friends are though). Thanks for the review! I have read “How To Survive TEOTWAWKI” and I have a copy of “Patriots” but haven’t read it. I just purchased the hardback version of SURVIVORS. I’m in chapter 6. Frankly, its almost reading like a map of what is happening now except in real life its going a lot slower. Since I’ve been studying this subject, actually, most of my life, I know a lot of background. SURVIVORS is in my “can’t put it down!” category. Buy it! You’ll love it. If you like Survivors I’m sure you’ll like Patriots. Thanks for the comments! I consider his book, How to Survive the end of the World as We Know it, a must have. I am currently reading Patriots and am having to push myself to finish it. Hopefully, Survivors will be a must better read. That is a great book. If you find Survivors better (or worse) than Patriots I’d love to hear your opinions. Survivors was a great book, and I am definitely going to look into Patriots as well. True, with the large pool of characters, sometimes got their personal stories mixed up. However, it also showed the reader an array of preparation levels and methods of survival/living-making through this large pool of characters. The closest I got to bonding with any of the characters was with the Doyles, who had a chapter in the book describing their path to marriage, with no instructional value. Looking back on it, the chapter was quite out of place, being set twenty years before the main timeline of the novel. I would definitely recommend Survivors to any fans of survival-fiction, who are looking for tips combined with an entertaining story and aren’t too picky about writing quality. Anyone just looking for an entertaining story may be a bit disappointed. While reading PATRIOTS, i became aware that JWRawles was telling a story but also incorporating many things for those not having spent substantial time in or around the military, especially around unit types that had to rely on fieldcraft to help make the job more comfortable when not in a garrison environment. He cleverly gives examples of tactics, equipment/product and common sense to those who have never been exposed to it. I would recommend partiots to anyone interested on the subject for insight into areas that they might not necessarily get. I have every intention on reading this and other books by Mr Ralwes. I enjoyed Patriots, did not hear of Survivors till now.. Thanks to TI, I am informed and will pass the information on..
for other “survival”/ “teotwawki” books, has anyone tried “Lights Out” by David Crawford? or his short stories?? my copy sits next to Patriots and the “bobs”..
-the shooters ability to work in a fire unit and his reload speed. I learned the importance of grenades , homemade or booty, must be used in firefights. I also emphasize light machine guns as the main firepower of any group. The Warsaw Pact family of weapons which includes light machine guns, light mortars , RPGs, at least one rifle grenadier per squad and plenty of grenades, is the main model of lethal small unit organization.. This approach has caused me to reorganize the combat mission sequence of any survival group. I welcome the time when the SHTF. If it ever happens (this nation is riddled with cowards who seem too sheep-like to stand up for freedom), it will be a gift from God. Why do I say that Doomsday will be a gift from God? Right now, I know how to lead in combat, every size force from squad to battalion. I know how to win fire fights, and all the tricks connected with keeping as many of my men alive as possible while hurting the enemy. 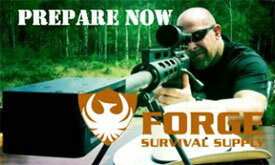 That is the situation as regards me and like minded survivalists of similar training and experience. Here’s the kicker. We live in a communist-black racist dictatorship in which we are powerless to organize and fight, since everyone is so terrified of the communists who are busy watching us, everywhere. The media confuses the majority, 24-7, with lies and threats. But in a Doomsday situation of chaos, the federal control mechanisms will falter. Then people will be rushing to team up with like minded people and from that chaos, freedom will begin. How? The only way we can get freedom is to fight for it. Right now, the political arena is sewed up by the communists. They control both parties and all power. We the workers/middle class are their “milk cows” because we finance and feed those who are tightening the chains of slavery, every day. In a doomsday situation, we will be given another chance, not that the weak sheeple of America deserve another chance…But it takes numbers to win. 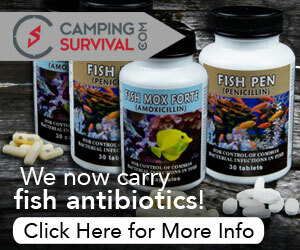 Already there are federal informants and agents crawling around survival groups like maggots ready to eat dead flesh. Who is the dead flesh? The weak who joined survival groups, along with fed informants and agents. Post doomsday, their power will be dispersed and our last chance may dawn briefly…a Red Dawn. Yes, the post Doomsday world will put power “up for grabs’, and power comes out of the barrel of a gun and the explosion of demolitions. In the chaos of Doomsday, we will have the chance to fight, a chance we do not have now. We will have a chance to be equal too. Now we are third class citizens in a nation controlled by rich communists, black supremacist, Islam fanatics and the crazy dregs of humanity. We have no freedom of speech or civil rights. If Doomsday comes, it will be our last chance, because dictatorships, like the one we endure, survive for decades and thrive on the corpse-mounds of disorganized citizens too stupid to develop an ideology and organize properly for protracted war. We can rise, but only if their power is temporarily disrupted. Go out some night to a quiet place in the mountains. Pray and listen. If you listen hard enough you may hear that faraway thunder that is coming our way. If you do, that’s the only good sign that we have a chance. No election will save freedom from communism because communism is not bound by either the law or any type of humanity.